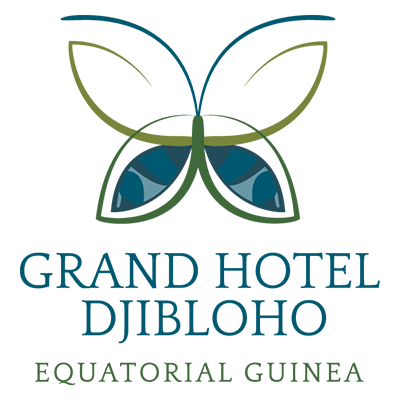 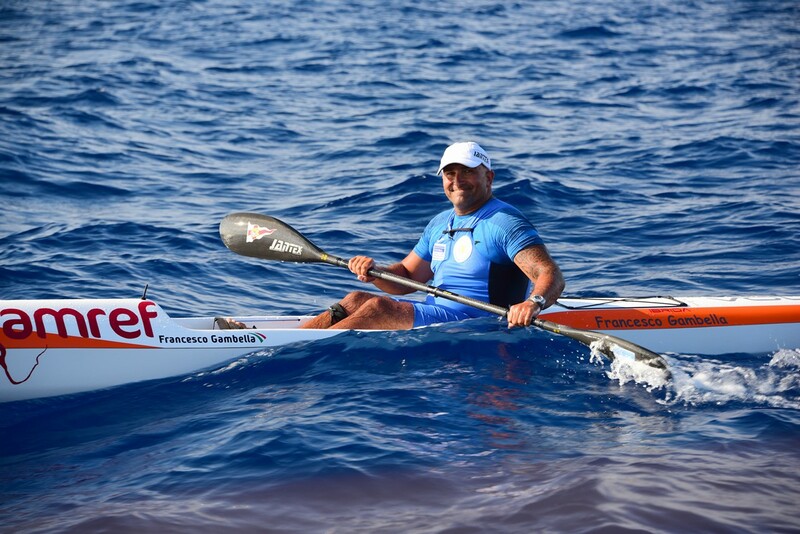 In the month of June 2015, Francesco repeated its first sports challenge, previously accomplished at the age of 20, in 1994. 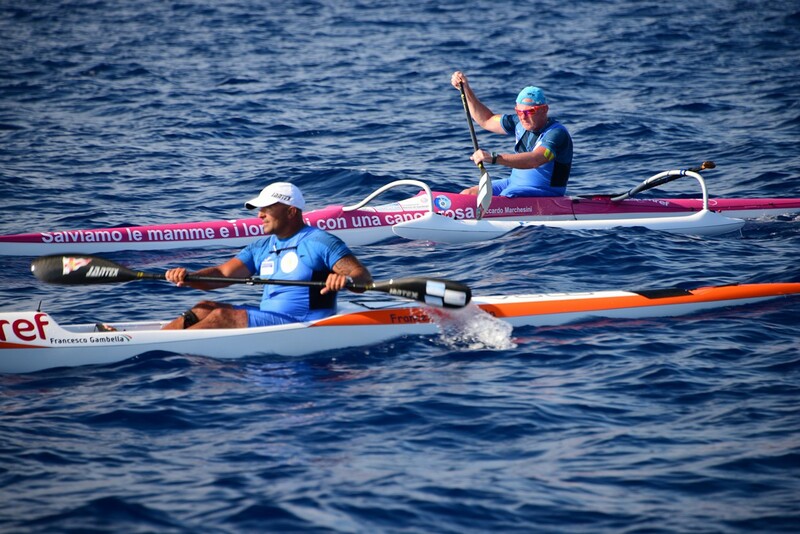 Exactly 21 years later, he crossed again the stretch of sea that divides mainland Italy from Sardinia, this time though he did it accompanied by the long standing friend Riccardo Marchesini. 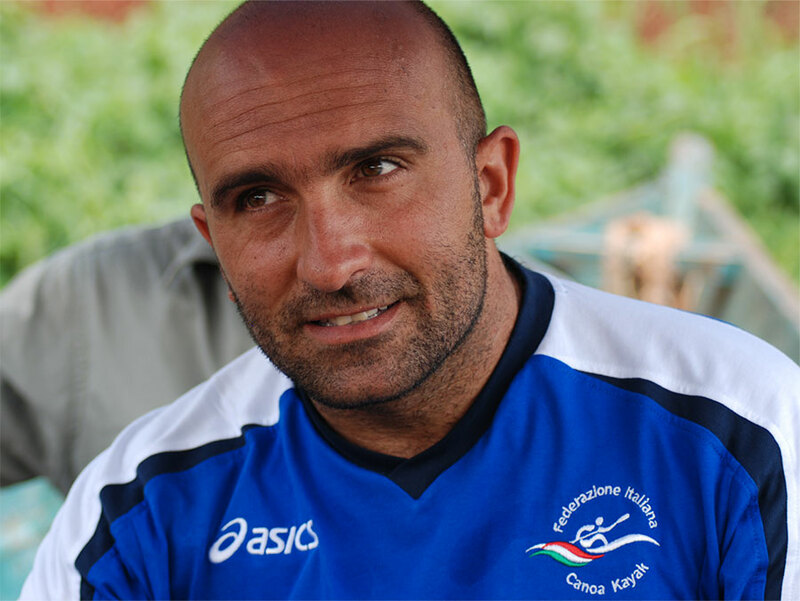 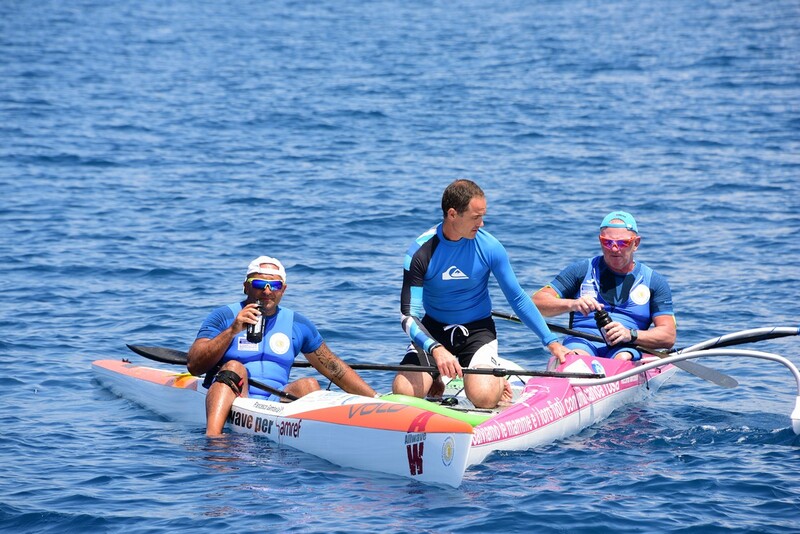 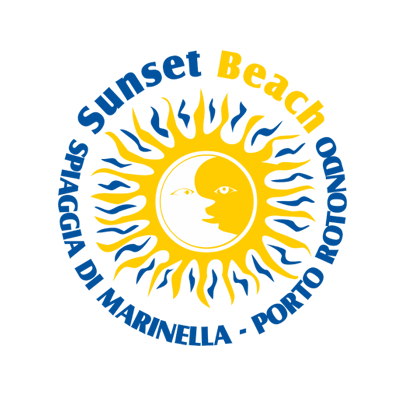 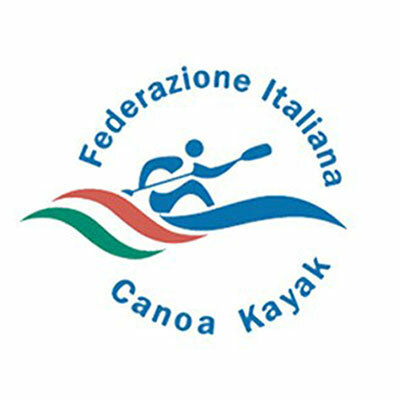 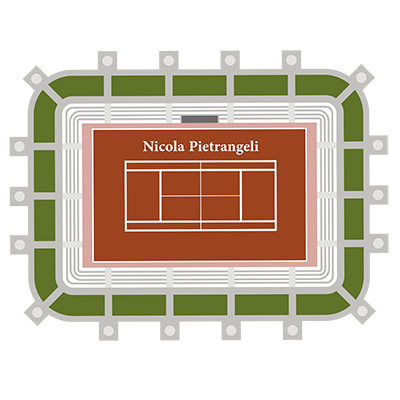 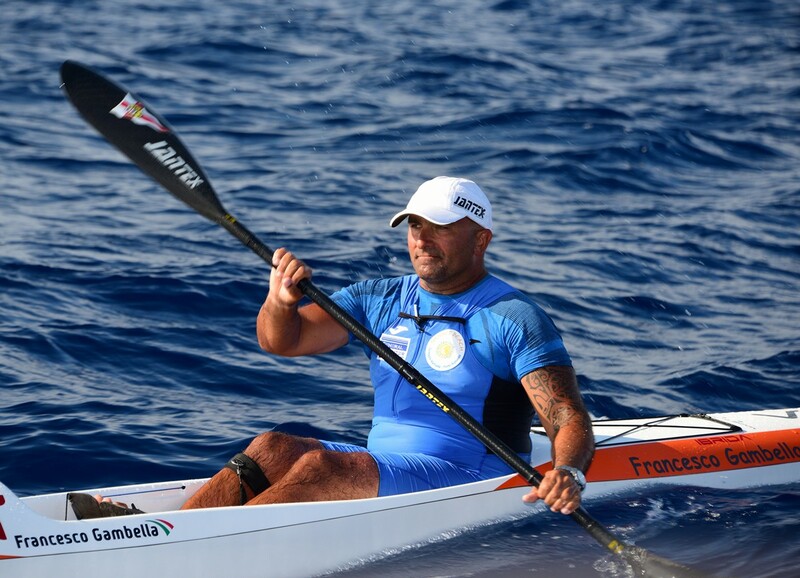 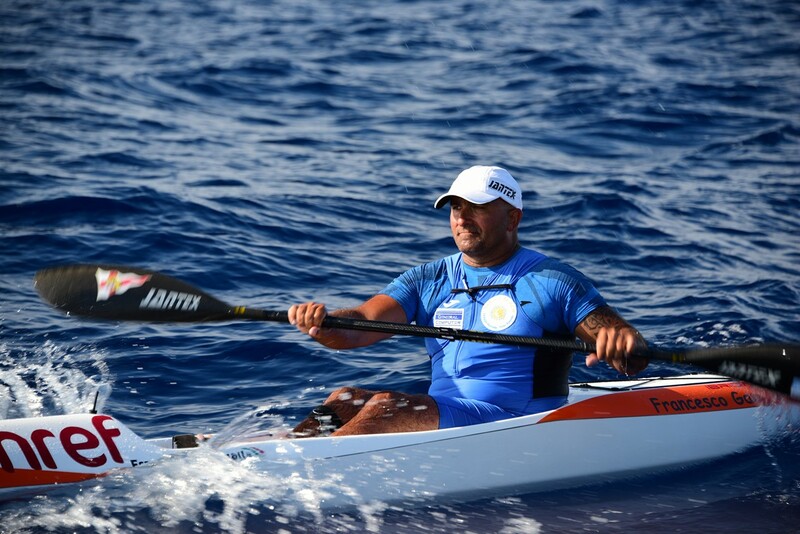 Just 18 months before to set off for this feat, Francesco got in touch with Riccardo proposing this unique challenge; Riccardo in fact is the “paracanoa” world champion. 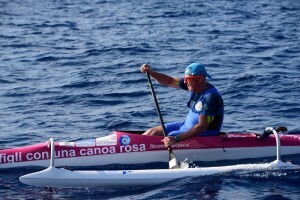 Paracanoa is a canoeing discipline reserved to people with disability and Riccardo suffered a leg amputation at the age of 18. 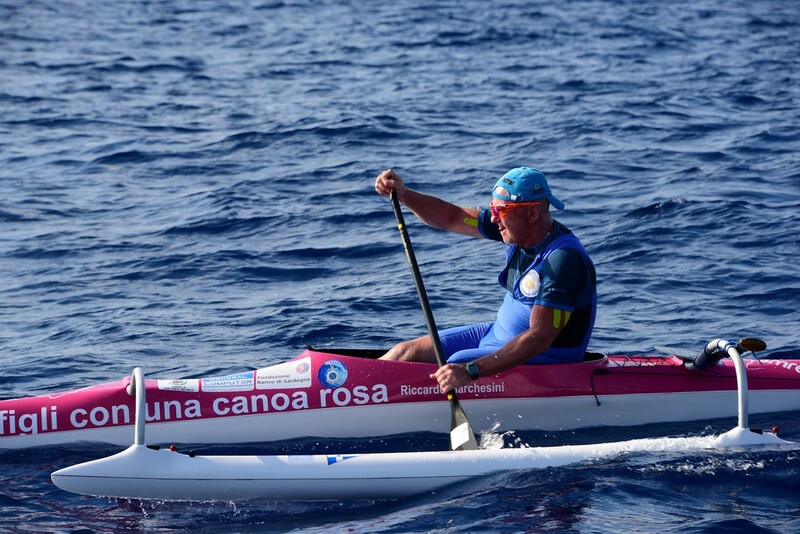 The leg in fact is essential to the kinetics of canoeing. 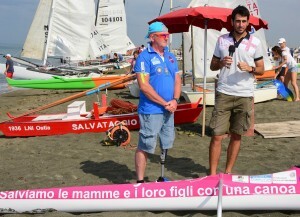 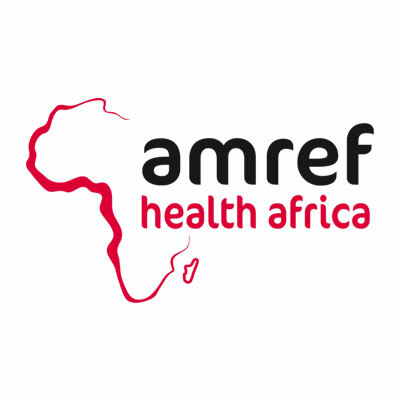 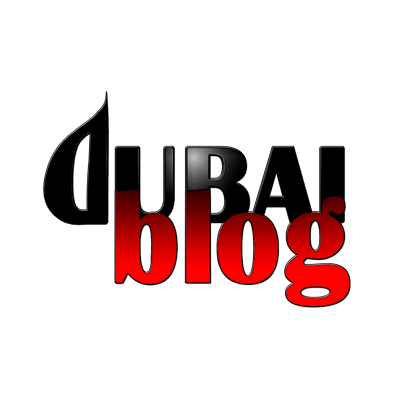 The whole idea of this feat was to send a clear message: “we shall overcome any mental and practical barrier”. 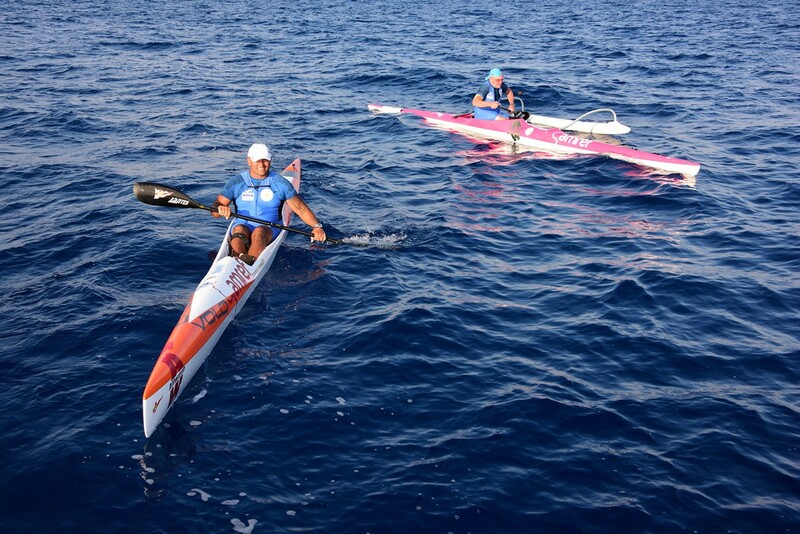 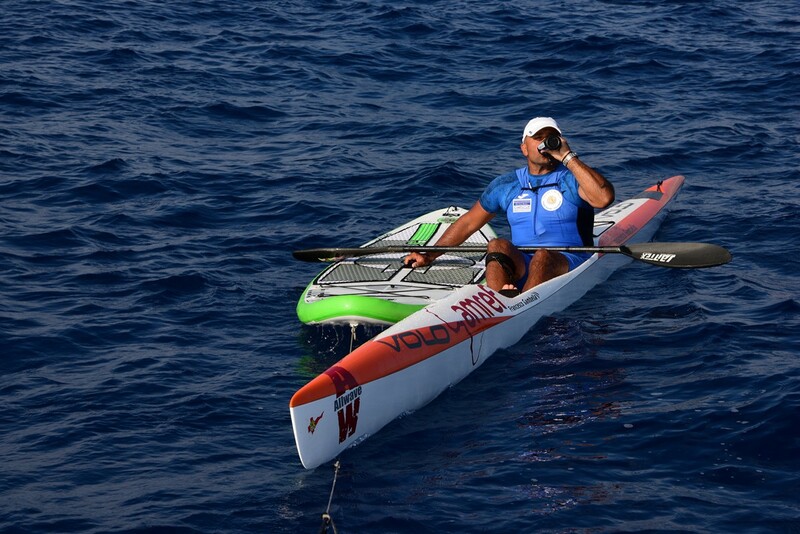 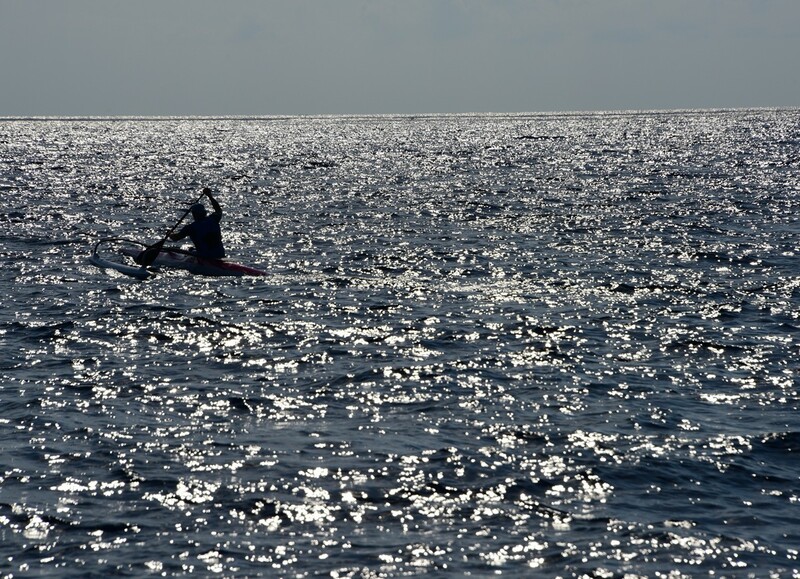 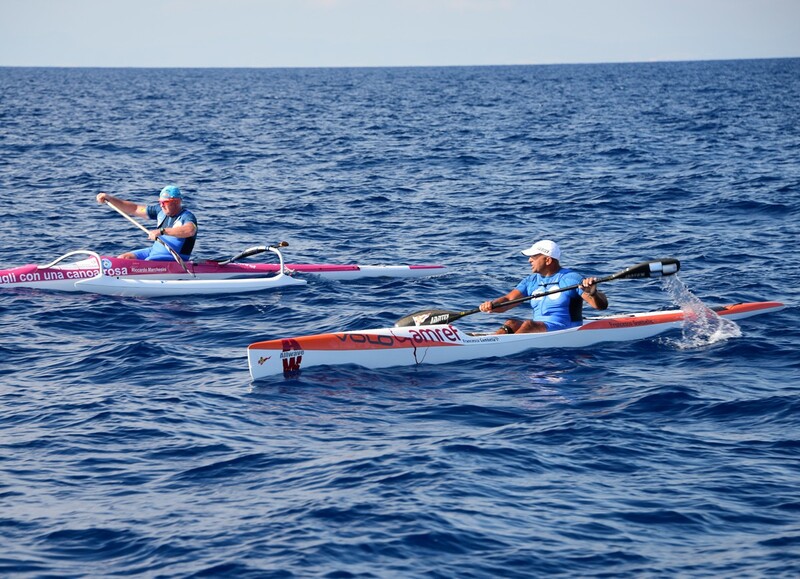 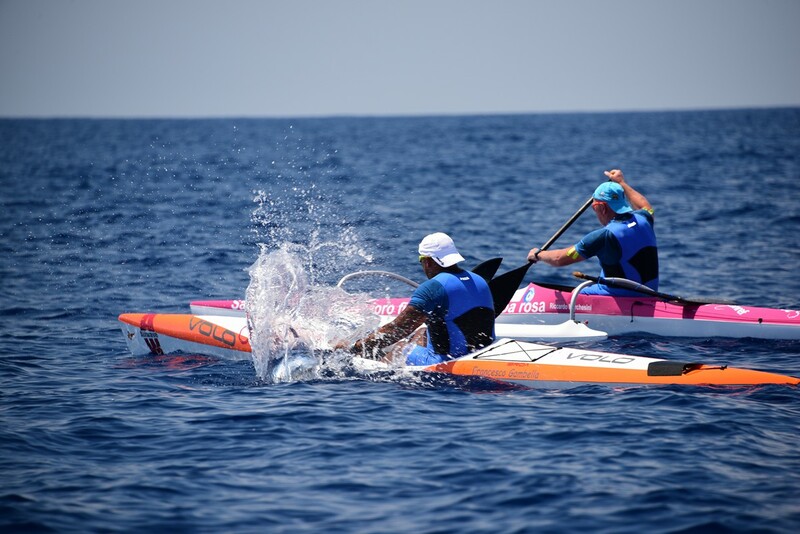 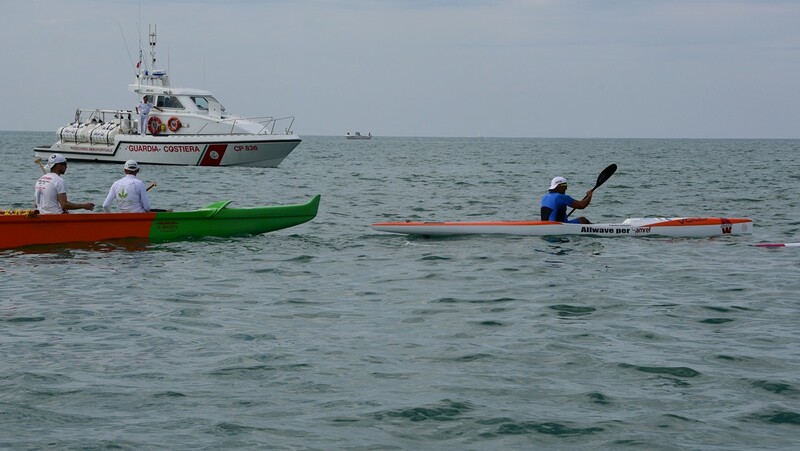 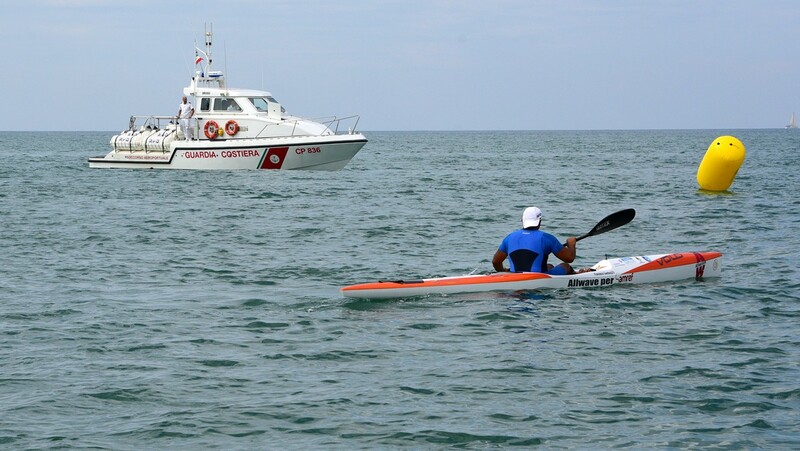 To paddle through some 120 nautical miles through the Mediterranean Sea is no easy thing to do, not physically, mentally nor on more subtle interior grounds. 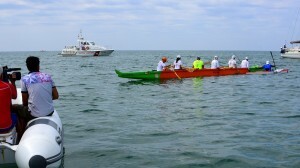 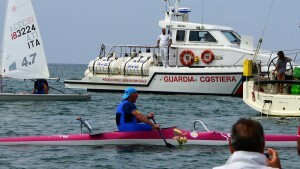 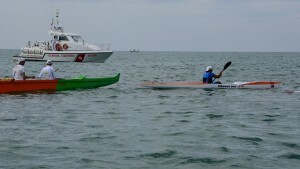 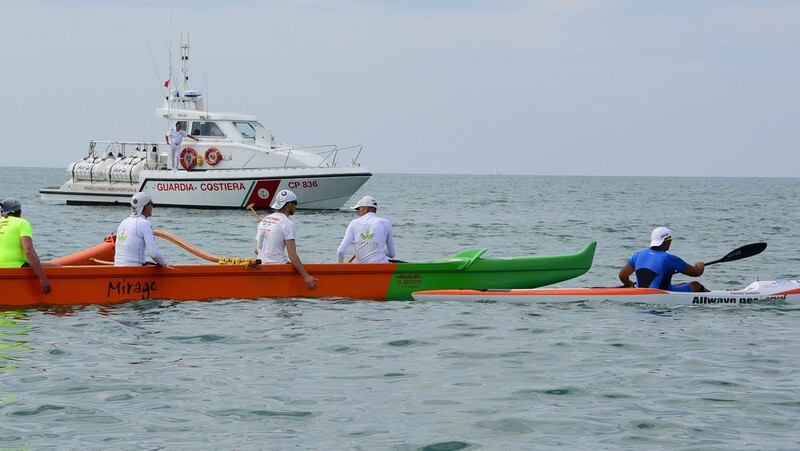 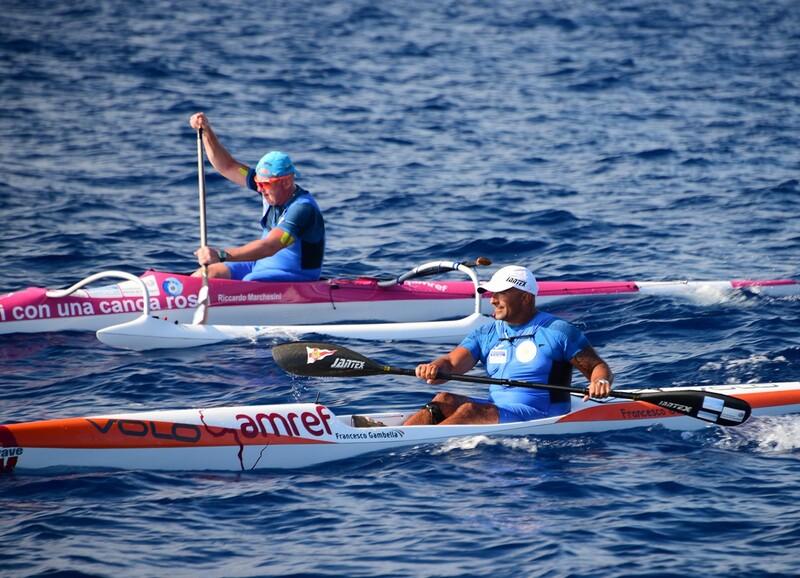 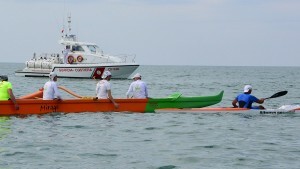 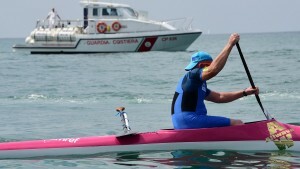 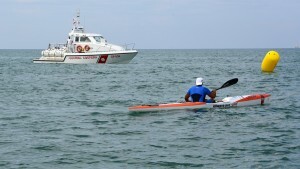 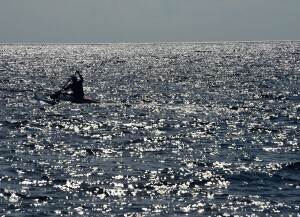 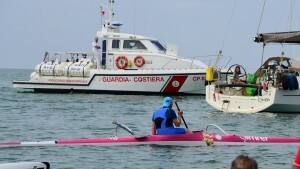 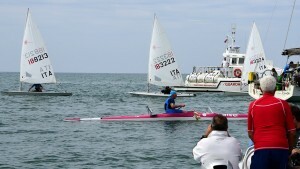 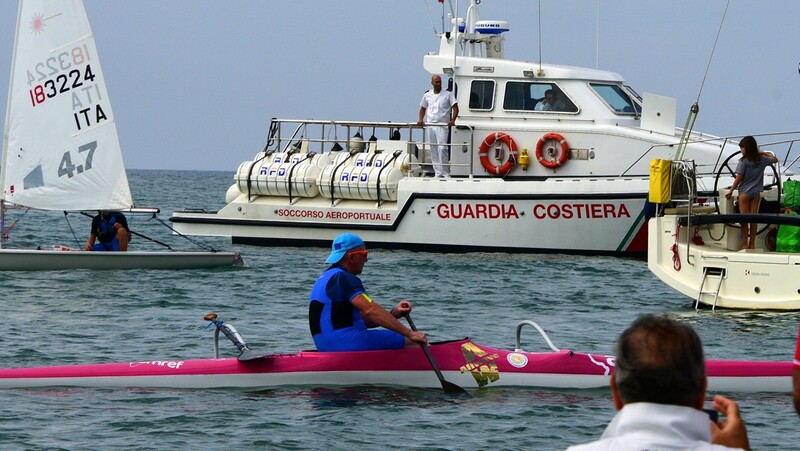 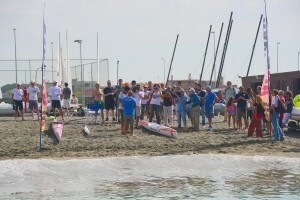 For what the logistics were concerned, Francesco used a “Surf Ski”, while Riccardo used an outrigged Polynesian canoe. 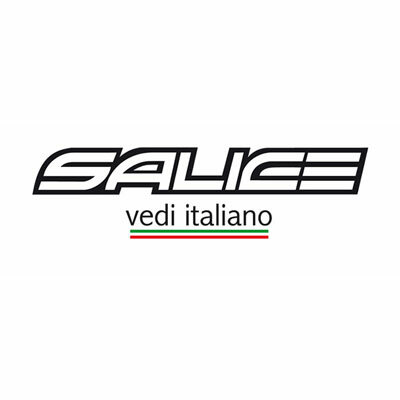 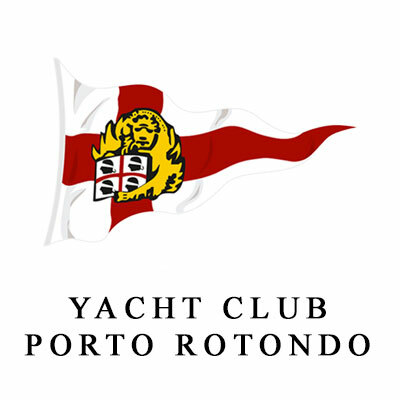 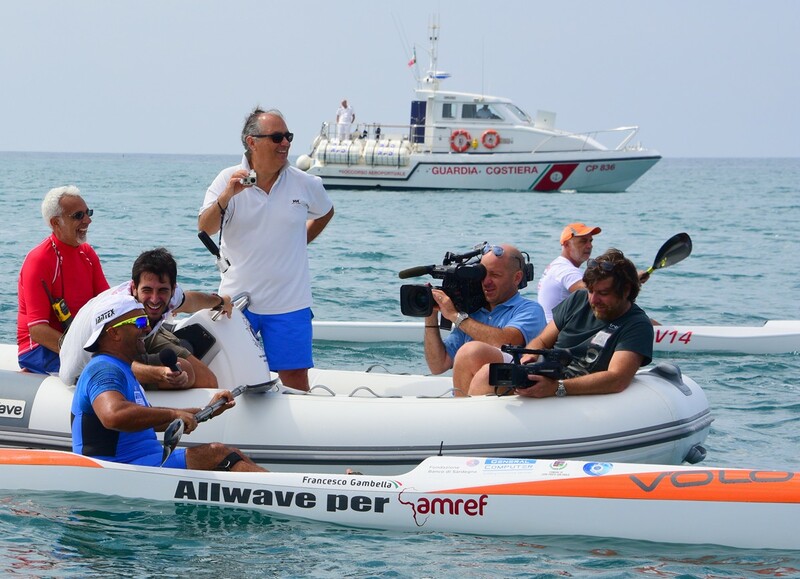 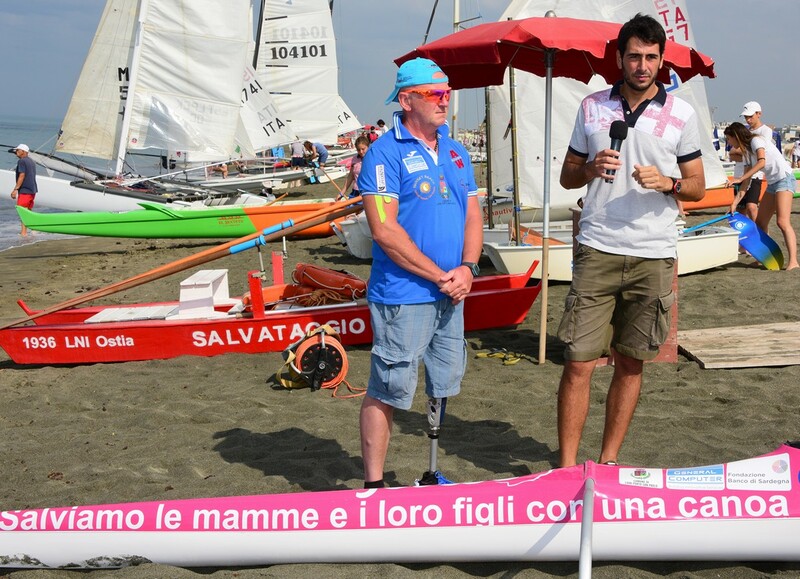 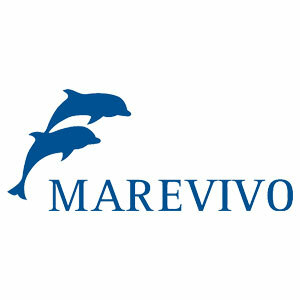 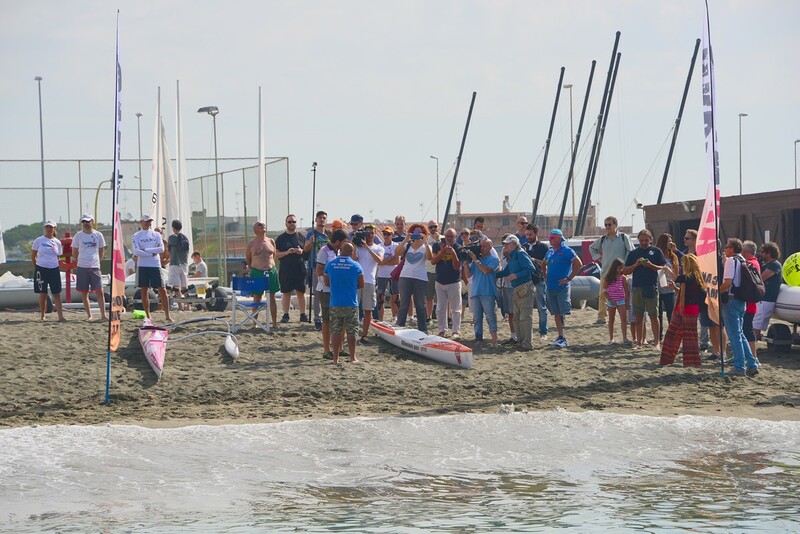 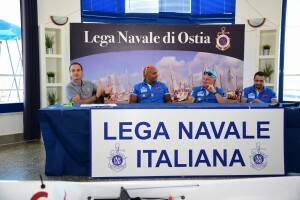 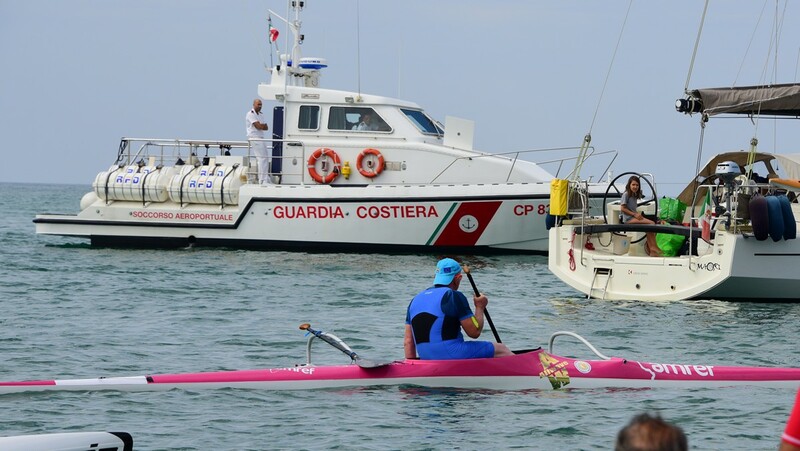 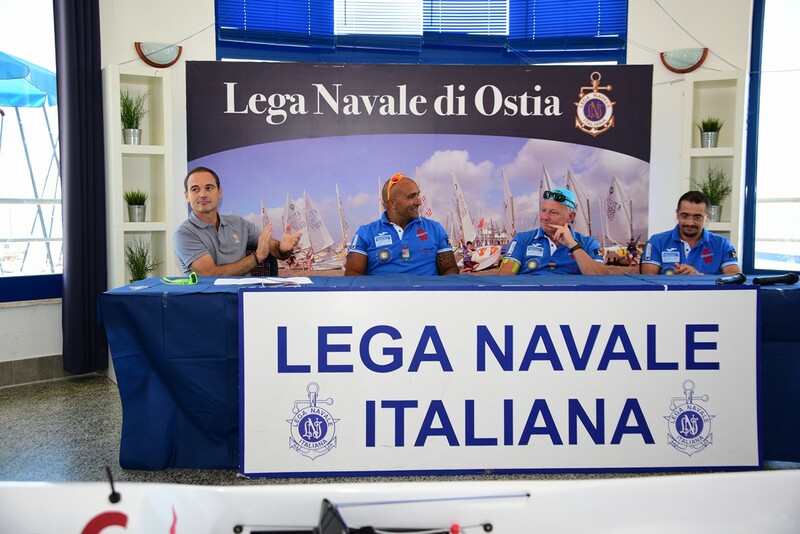 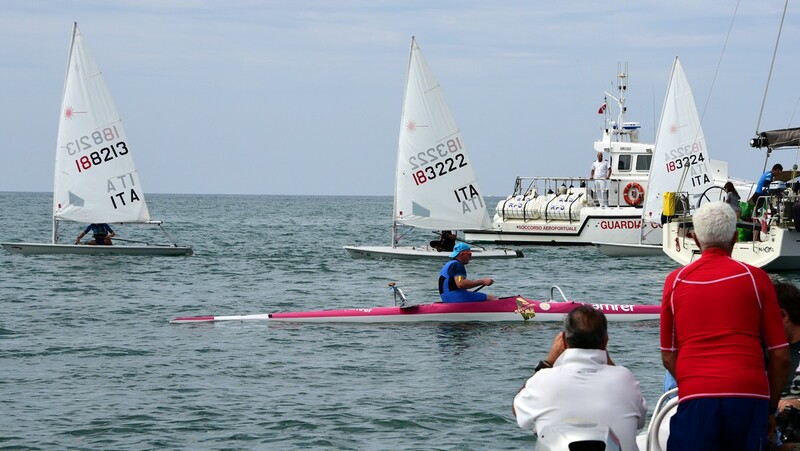 It was indeed a world first for Riccardo and Francesco gained the sheer satisfaction to harbor this memorable feat departing Ostia, near Rome, to shore in Porto San Paolo in north Sardinia, with a wide coverage of the mainstream media in the country.